The Ferrari FXX K Evoluzione was recently spotted being tested at Autodromo Nazionale Monza just north of Milan, in Italy. A camouflaged version, also known as a mule, can be seen driven hard in the video. Some upgrades that can be seen are; larger rear air brake, a full length rear spoiler complete with central wing, and the front gets new canards on either side. 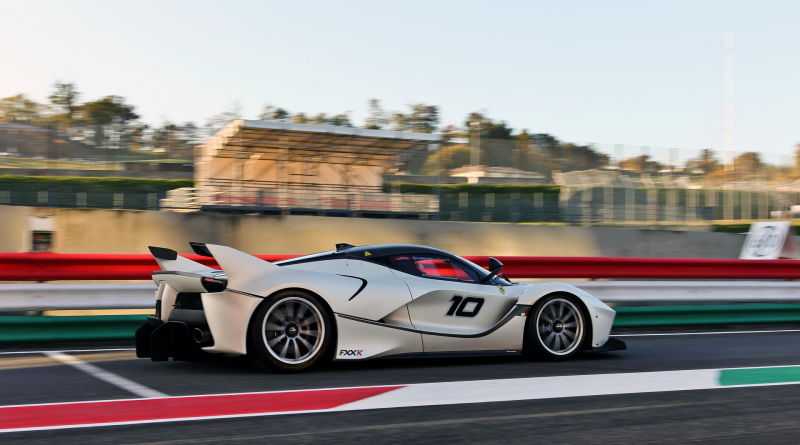 Not much is known about the release date and final specs, but it was nice to see Ferrari out there testing this FXX K Evo on a historic Italian race track. Enjoy the video below, and make sure to turn up the volume!